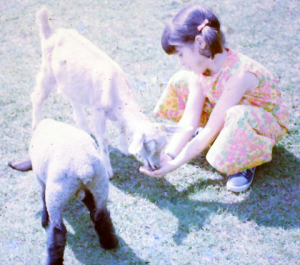 As a child, I was drawn to animals. Their innocence, vulnerability, beauty, courage, strength, and loving kindness left an impression upon my heart. I felt a kinship with them that has remained the one constant in an ever changing landscape of homes, relationships and jobs. That sense of kinship with the innocent guided me as I chose my education. First, I studied child development. I received my Bachelor of Science from the University of Maine at Orono. Years later, I chose to study Transpersonal Psychology at John F. Kennedy University. My intention was to learn how to heal. My final master’s paper focused on the correlation between healing self and healing the Earth. This love also guided me in my choice of professions. I went back and forth between two careers. I worked with developmentally disabled individuals, primarily with autistic children, teenagers and adults. I also worked for animal and environmental non-profits. What both fields had in common was my intention to protect, to support, and to empower the innocent. I have had a number of different jobs working with disabled individuals. I worked in group homes, schools, a vocational program, and within individual family homes. My goal was to mirror back to these individuals the innate beauty within each one, help them to recognize their strengths, laugh with them, and support them as they struggled in this fast paced society. My career with animal/environmental causes has been as interesting and diverse. I worked for Greenpeace. I walked dogs at a local humane society. I volunteered as a docent and taught natural science to children, cleaned cages and fed baby birds in a wildlife hospital, spoke to the visitors about injured animals who could no longer live in the wild, and worked for an animal rights organization. Through the years, I pet sat for neighbors and friends, and then the animals themselves became my friends. My circle of friends widened to include not only the dogs and cats I cared for, but all the wild ones, the big and the small, the finned, the flying and the ones with fur. I became aware of the extent to which animals are used, abused, then discarded or killed when they are no longer of use. I knew that I wanted to do much more to protect the animals. In the year 2000, I dedicated my life to doing that in every choice I made- from food, to clothes, to products I use. In 2008, I started working as a pet sitter for another pet sitting company. It wasn’t long before I realized that I wanted to start my own business. With much encouragement and support from my family, I started All Life Matters – Companion Animal Sitting for Body, Mind and Spirit.